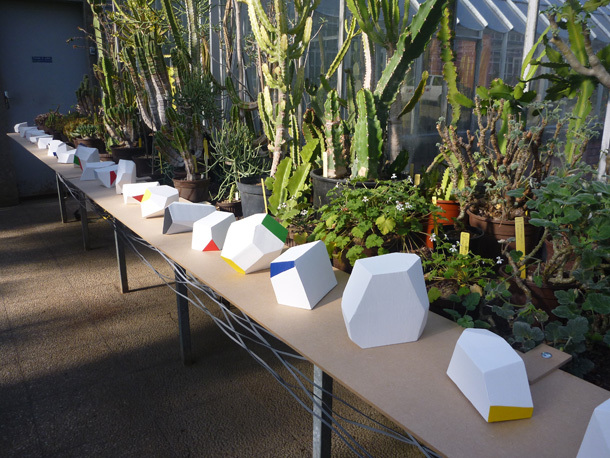 64 Nonwords objects is a sound installation which was presented in Nantes Botanical Garden in march 2011. 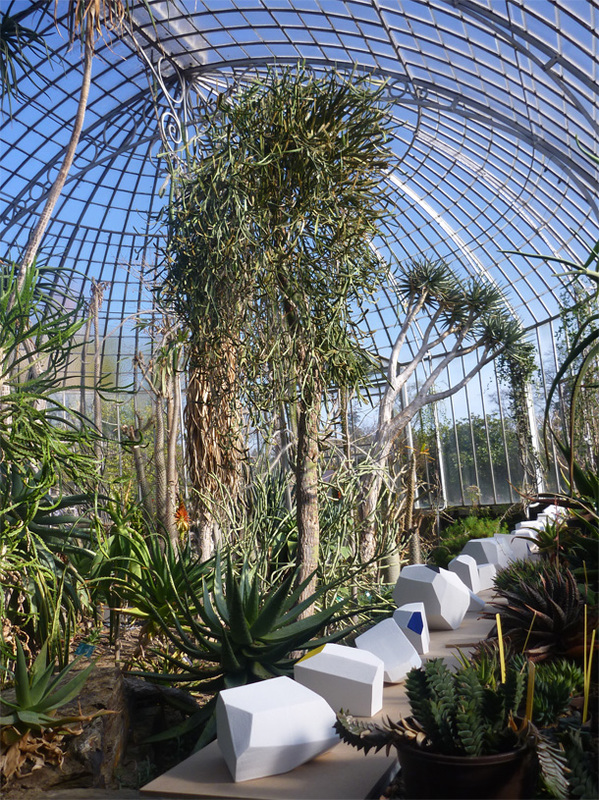 It is made of objects and sounds, and those have been audible and visible in the arid greenhouse of the garden. The shapes, colors and noises are derived from a list of onomatopoeia used in some field guides to (try to) identify birds in nature. Transcribing birds calls with a few letters is somewhat difficult et gives mixed results for their identification. Maybe it is a quite strange idea to use human letters to write birds songs. 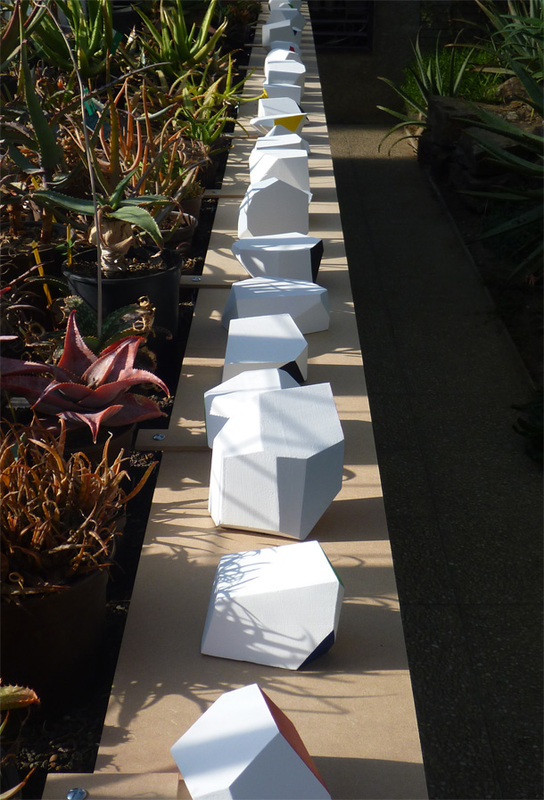 Here the list is used both as a score and a plan to build objects, so the process is reversed : listed bird calls, gathered and transcribed by specialists from real animals, are then transformed in new sounding objects with equal care - and approximation. It’s a possibility to imagine an alternative (and maybe absurd) source of those written noises.